I was delighted to read The Wooden Camel picture book with Angelo and Valentina. It contains valuable life lessons wrapped up in such an captivating story. The Wooden Camel is the newest publication coming out of Lantana Publishing. 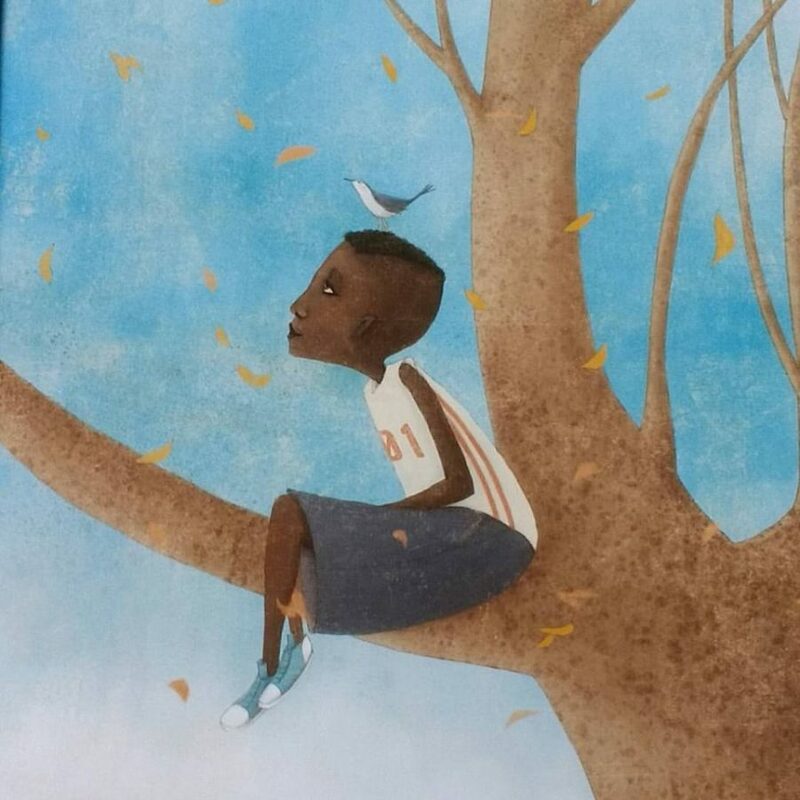 It was written by award winning Kenyan filmmaker Wanuri Kahiu (winner- Best Director Award 2009 for feature film debut “From A Whisper” at 5th Annual African Movie Academy Awards) 1 and the acclaimed Italian illustrator Manuela Adreani. Set in Turkana, north-west Kenya, The Wooden Camel is a tender story about self-sacrifice, kinship and the joys of the imagination. When little Etabo learns that his father must sell their camels for money to buy water, he believes his chances of becoming a camel racer are gone. He finds a quiet place and speaks to Akuj, the Sky God. Akuj tells him: “Your dreams are enough” But is it? After receiving a handcrafted gift from his sister, Akiru, Etabo finds that his imagination can indeed fuel his dreams. Turkanas are nomadic pastoralists who mainly keep cattle, donkeys, camels and goats. Their animals are their source of wealth. Turkana is the second largest pastoral community in Kenya after the Maasai people. The county covers 68,680 square kilometres2. It must have been with a heavy heart that Etabo’s father made the decision to sell their precious camel. No doubt it was a devastating blow to Etabo he thinks racing a camel ‘will feel like flying’. However, his spirit and determination can’t be beat. The Wooden Camel reads like a folktale and the illustrations support that. Manuela captures what I imagine is the essence of the people and their home. You can get a sense of the dryness and expanse of the landscape in the way she uses colour and minimal illustrations. The Wooden Camel is a story that will never lose its magic. It truly celebrates the power of the imagination. Boys and and girls are sure to enjoy it. My best bit: Seeing this new landscape and finding out a little about Turkanas. They both seemed to be touched by her act of kindness and sibling love. They also love the magical element to the story. What kid doesn’t like magic, eh? Best of all, The Wooden Camel presents a landscape and people who’s stories are not easily found in English or in the Great British High Street bookshops. 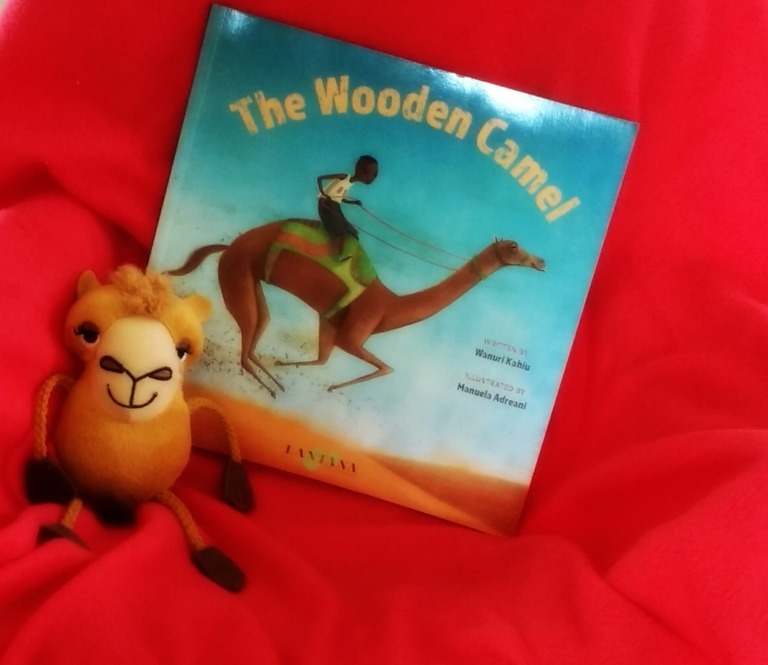 The Wooden Camel can be bought online from Lantana Publishing. Visit their website for details.